An evidence-based program designed for fathers who are facing parenthood with huge responsibilities, but few of the skills they need to handle those responsibilities. 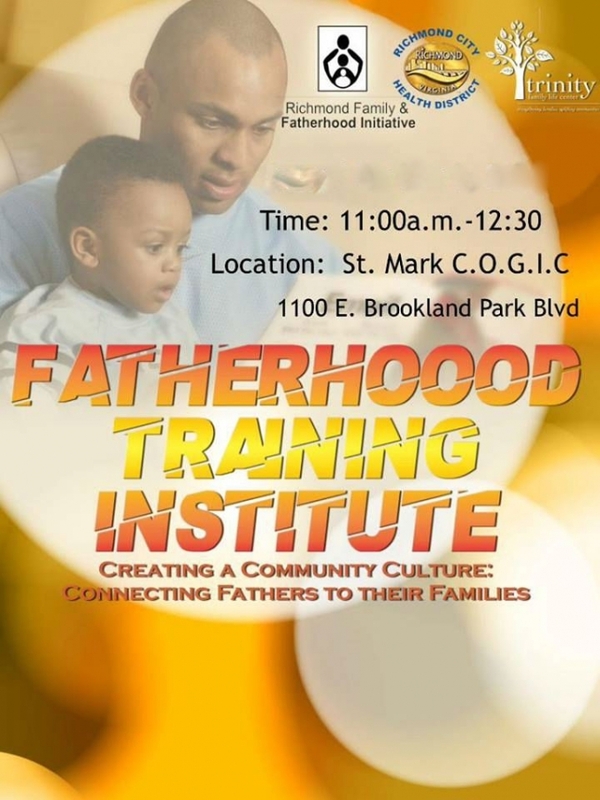 The Fatherhood Initiative helps men to engage fully, effectively, and responsibility in their children’s lives. Men will learn how to build relationships that are healthy, nurturing and consistent. By participating in this institute, participants will earn a Richmond Family and Fatherhood Initiative Training Completion Certificate. This group meets every Saturday from 11:30 a.m. til 12:30 p.m. and a boxed lunch will be provided to participants.